Following new trends and keeping up with the ever-changing fashion industry can seem very daunting. Being trendy is not very easy on the pocket either. But we have a very easy and inexpensive solution to this problem. Colours. You can be your own personal stylist by choosing from the winter colour palette of the year. Keep in mind that wearing the right colour for the right season can make all the difference to your appearance. Different seasons compliment different colours. So, here is our winter colour analysis based on the colours that have been officially chosen by Pantone Color Institute as the top winter colours you may follow in 2019. This colour is a dark take on the typical wine hues that we see around the winter season. This colour exudes warmth and is perfect for the winter season. 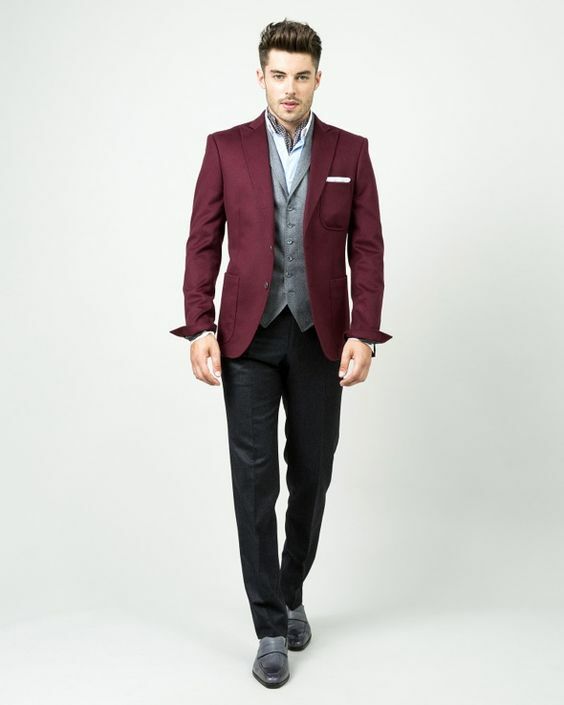 Pair dark trousers or chinos with this intense wine hue for a very neat and sharp look. This colour is perfect for date nights and dinner parties. Blue is the perfect colour for any season. But this dark and broody take on the classic blue colour is sure to set you apart from the crowd. In spite of being a dark navy hue, Sargasso Sea has a soft and welcoming feel. To achieve a perfect winter look pair this colour with warm sandy tones like Beige. So swap out your blacks for this more upbeat and sophisticated colour this winter. Quiet Gray is the trendiest colour to wear this winter. This neutral colour is a great alternative for black. Because of its muted nature, it looks sophisticated and matches all skin tones effortlessly. This colour is supremely versatile and very fun to pair with brighter colours. You can either go classic by pairing this with dark coloured trousers or add a brightly coloured jacket to the ensemble to make it pop. This colour is a very unusual pick for the winter season. It is bright and effervescent but works with the season anyway. This lively cobalt blue will spruce up your outfit effortlessly. Pair it with a bright coloured jacket or an overcoat to create a quirky and an upbeat outfit for the cold winter evenings. This combination is one of the biggest hits of the season. This colour looks like a wonderful blend of orange-red-brown. Rust is known as a colour that is universally flattering. It is elegant, earthy and has a certain charm to it. Rust is a very versatile colour and goes beautifully with earthy tones like beige, gray, and darker shades like black and navy blue. So pair it with a set of dark trousers or beige chinos for a fun day out. This bronzy, earthy shade exudes warmth and charm. It is a highly adaptable toasty hue. It can be worn as plaids or prints or just as a classic solid colour. The variations this colour has to offer are endless. With a neutral colour like this, coming up with outfit ideas are no issue at all. They pair extremely well with dark coloured trousers. A pair of beige chino trousers will also do the trick. Ceylon Yellow is the perfect bright colour for winter season. It is bright but not too flashy. Its muted and exotic nature makes it wearable for every day. It has a rich, silky hue which is perfect for the chilly winter weather. It is very easy to style colour and looks great on all skin tones. Style it with a classic pair of navy blue chinos for a bright, warm look. Martini Olive is an exemption from all the colours that are at the top. It is a smooth, sophisticated, muted green that will add depth to your outfit. It is not too dark and not too light. Just a perfect neutral green. The ideal way to wear this colour would be to pair it with light coloured cotton shorts or chinos. Different seasons demand a different colour palate. And with these colours in your wardrobe, you are all set for a perfect style makeover. These colours are suited for all occasions. Some vivid, vibrant colours to brighten up those dreary winter evenings; some neutral, sophisticated hues to class up a party. We hope this article has helped you to find your colour. So here’s to a stylish winter filled with colourful clothes! Dressing for the weekends can sometimes seem like a task. 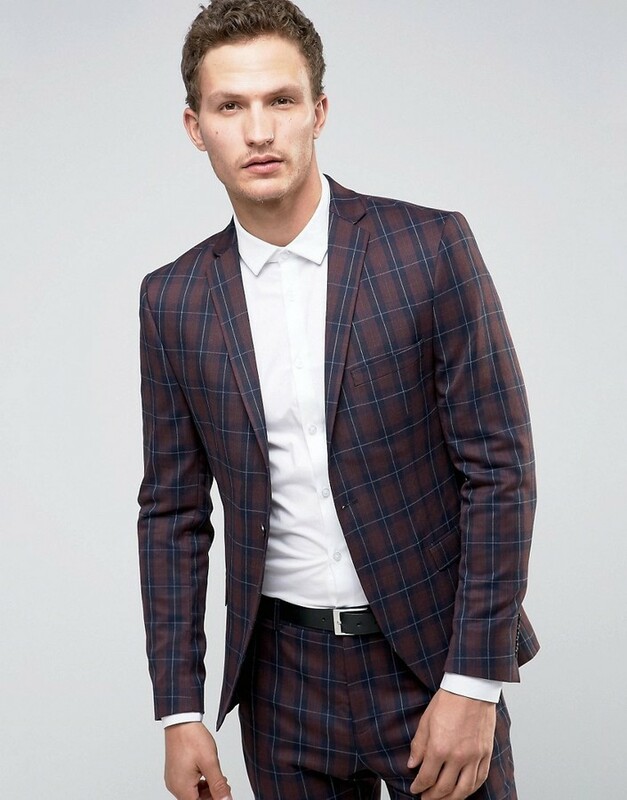 You want to ditch your formals and wear something comfortable, yet style cannot take a back seat. Sounds daunting right? Don’t worry, we’ve got your back. We’ve compiled a little list of outfits that should see you breeze through the weekend looking like a million bucks! Whether it’s a night of dancing or a chill day in a cafe, we’ve got you covered. Read on. Plaid trousers will never let you down, it looks stylish and comfortable at the same time. Just pair it with a shirt or a blazer, a pair of shoes and you are good to go. You could carry this look for a casual outing with friends after a work day. Got a family function this weekend and you don’t want to go all out? Then you could always look stylish and apt for the function with a casual linen blazer on any plain t-shirt paired with lightweight chinos. This attire is the definition of comfortable. Does your weekend plan involve time by the beach or a pool party? Then this is the perfect outfit to make you look like someone who is ready for the weekend. You don’t need to be sporting a jersey while watching the game over the weekend, with your buddies. While team colours are great, you can always replace our favourite team’s jersey with casuals. Opt for a pair of khakis with a casual solid colour shirt to cheer on your favourite team. Got day-long plans with your clique? Then white chinos are the way to go. Pairing white chinos with a casual shirt or layering the outfit with a blazer is comfortable and the look works great for most day-to-night plans. Patterned shirts have always been a trendier option to pick over solid colour shirts. Pair these with slim-fit trousers for an easygoing look. A white shirt is always on trend and it works well for almost any weekend plans. Pair it with slim-fit trousers/shorts and you have a comfortable and effortlessly stylish outfit for your weekend plans. Gaining popularity in recent times is the band collar shirt that’s perfect for the weekend, without seeming too casual. A very versatile garment, this piece exhibits sophistication with ease. A plain coloured shirt can be worn for dressy occasions while prints are great for all-day events. Comfort is key when it comes to conquering your weekend plans. Always make sure you’re dressed according to the occasion. We hope our guide helps you plan and look stylish, while being comfortable, for your weekend plans. Have you ever stopped to think about the colour of your clothes? When shopping for clothes, you’re probably processing 2-3 pieces per second until one of them absolutely stands out and makes you want to try it on. Colours play an important role while shopping for new clothes. Let’s understand the impact of colours better and why they play a vital role on a daily basis in our lives. It is suggested that certain colour palettes are best suited for particular seasons of the year. During winters, it is better to wear colours that are sharp and clear. White, black, navy blue, and red, all look easy on the eyes. Summers are all about bright colour palettes. For lighter colours, icy tones are preferable to pastels. Avoid tones like beige, orange and gold. Colour Wheel to the rescue A colour wheel often comes to the rescue when you’re in a dire need to save a fashion mishap. After observing a colour wheel, we can see that there are 12 main colours ranging from red to violet, green to yellow, and all the way back to blue to red.These are basic colours that can be referred to as hues. Upon addition of black or white to any one of these hues, the range of colors that can be derived is virtually endless. The trick is in understanding the position of each colour on the wheel, how close or far apart they are is what makes them easy or difficult to coordinate. Casual colours usually don’t make us dive into a state of excitement, but they’re likely to be easy on the eyes. Build your casual collection by adding bright colours such as shades of orange and green. These look good with the Indian skin tone and are also different from the white, blue and black that most men wear. Try wearing your blue denim or cotton shorts with a bright toned tee and white trainers. Simple but effective. You will see how much the colours pop and compliment each other. A monotone chromatic colour scheme is simple and always stays in trend. Take one particular shade and adopt 2-3 variations of that colour, creating an impact with the hue. Attempt to experiment with dark and light shades. The main ingredient is the pairing of the tint and the shade. Since the colours are similar, there is more room to differentiate by adding texture and layering. 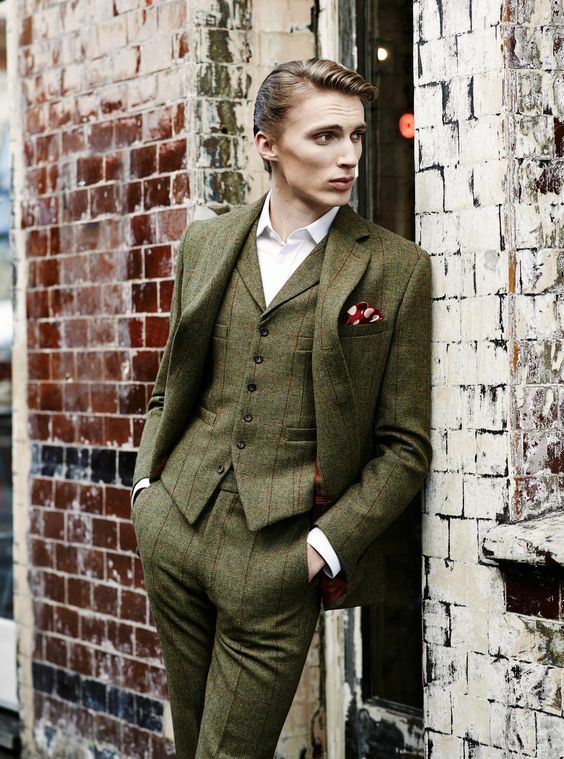 Colours and colour combinations are an important aspect of fashion and menswear. They add variety, personality and fun to your closet. If you are ever in doubt, pick a colour and don’t be hesitant to play around with the tint and shade. Every season has its particular characteristic when it comes to dressing up. It’s all about thicker fabrics, darker colours and simple patterns in the winters. But as we move on from the chill of winters towards the scorching heat of summers, our wardrobe demands for a change. Summer dressing should always consist of light fabrics, bright colours and bold patterns. Embrace the long sunny days and put your stylish foot forward. Here are a few tips that could help you figure how to do that without burning a hole in your wallet. From Cotton Shirts to Beach Shorts, here’s our pick of summer fashion essentials to help you look your best during this season. 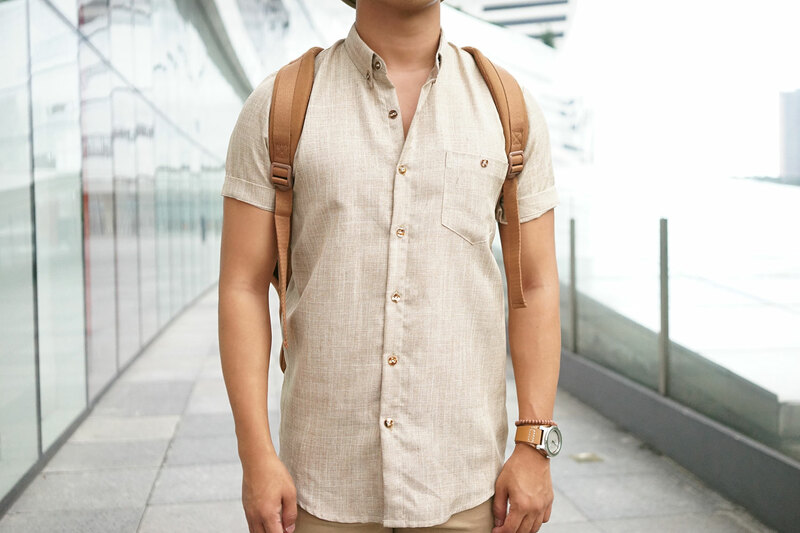 The most exclusively essential summer staple, a Linen or a Cotton button-down shirt which provides ample versatility when the temperature soars. It’s one of those classics that can’t go wrong during summers. 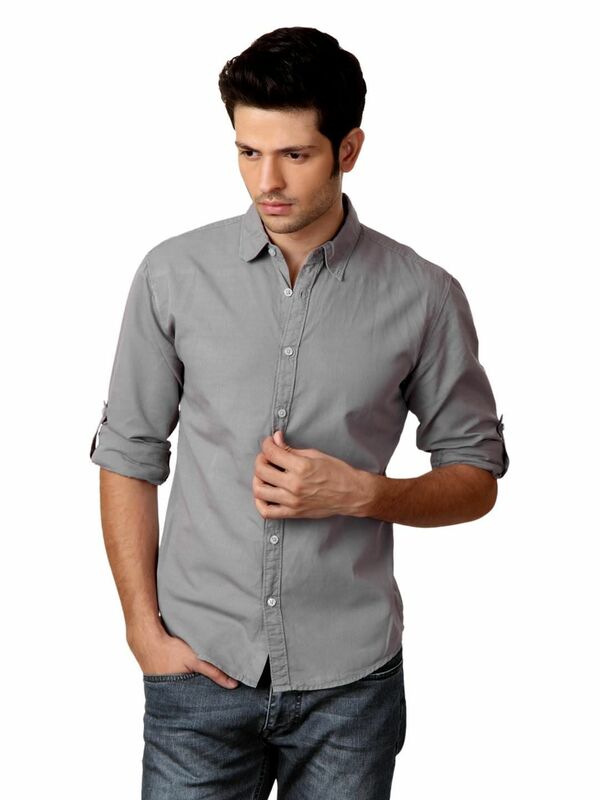 Wear it as a dress shirt or a casual shirt, it’s perfect for any occasion this season! Sunglasses are simply the best summer accessory you can have in your wardrobe. These come in different shapes and colours ranging from the Wayfarers to the Aviators and the new in-trend round shaped sunglasses. Opt for the style of sunglasses that complement you and your outfit. Be it a summer wedding or just any work meeting, when it’s about having to wear a suit, we suggest wearing something composed of a light fabric like cotton or linen, or any cotton-linen blends. You’ll be more comfortable and fashionable during the hot days while keeping yourself away from the sweaty mess. Summer’s are a call for long vacations which involve occasional trips along the beach. If you wear watches at the beach, we suggest sticking to a cheaper alternative watch as it may catch humidity from the water. There are tons of cool, low-priced, water-resistant watches in the market that are your best companions for the season. Give your socks a rest and show some ankle! Socks are strictly optional during summer. Loafers, Sneakers, Derbies, even a pair of Flip Flops look good with a bit of ankle showing and are sure to compliment your attire for the day. Whether you’re chilling at the beach, out for a small picnic in the park or just taking a stroll on a sunny day, a good hat will keep your head and your face protected from the heat. Trust us when we say, a hat works better than a sunscreen. Say no to denims and heavy fabric trousers for the months of summer. Chinos are the best lightweight alternative that need to be added to your wardrobe. They may look unstructured or boring, hence rolling them up to your ankle would make a pair of chinos look casually cool. Plain and casual basics are core to building an amazing and eye-catching outfit. 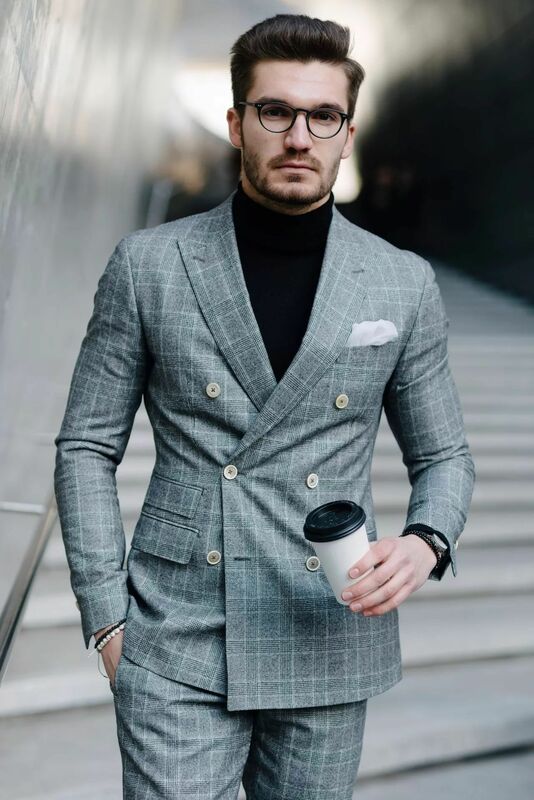 Hopefully, after reading this guide, we know you’ll be rest assured as to what kind of staple pieces need to make the cut for your summer wardrobe, the inexpensive way. Bags are an essential for every office going man. These bags need to be handy and convenient enough to carry most of your basic amenities such as a mobile phone, charger and documents. These bags need to match your office style as well. When it comes to a work bag, fashion means staying minimal yet allowing the item serve its sole purpose, besides it being appropriate for your workplace. To save you the hassle of going through different styles available, we’re here to help you make the right choice. Here are top 6 bags that can be used by office goers. For years, professionals all over the word most commonly carry a briefcase. Its elegant appearance fits in perfectly with the corporate environment. This box-style case is popularly made of a leatherexterior with interiors that consist of compartments that are meant to hold all your important documents as well as your laptop. This type of bag is best suited for a formal office. Just as the name suggests, the primary purpose of laptop bags is to carry a laptop. This bag uncomplicates storage for a lot of important work-related information besides just carrying your laptop, allowing you to carry your documents as well.These type of bags are usually carried in the hand with an option long handle for hands-free carrying. Laptop bags perfectly compliment the formal or semi-formal business look. It’s okay to carry a backpack as a grown man, it just has to be the right type. Backpacks are convenient, and the easiest to carry. They offer the most in terms of storage. Not to mention, most will come with compartments for specific things like laptops, phones, and tablets. Backpacks can be in natural or synthetic fabrics or even leather. Look for a backpack with muted, earthy colours for a neutral look. Depending on the type of material chosen, it can suit a semi-formal to casual office. Completely different from the previous style, the messenger bag gets it name from the bag carried by courier men. This urban fashion essential is crafted in a way so they can be worn over one shoulder, crossbody or on one side. This design allows easy access to the bag’s large single compartment.The bag is usually made of cloth, natural or synthetic fibres, or leather. It’s convenient for carrying your office essentials since it’s easily expandable and can bear heavier items while maintaining the formal business look perfect for young professionals. A sling bag is actually a smaller version of the messenger bag. Popular among the youth, people love it for the easy casual look it bears. Professionals prefer leather sling bags instead of their fabric counterparts because of their elegant and corporate appearance. This type of bag suits casual and semi-formal offices. We’ve seen celebrities frequently carrying these cylindrical luggage bags as an airport fashion statement. Have you ever wondered how you can include it in your office wear? Duffle bags are often used to carry a lot of things together at once, hence, making them more than apt for office goers who usually carry a bunch important documents, laptop, lunch box, mobiles phones, etc. We’ve recently seen duffle bags in real and faux leather that would look good in an office atmosphere. The best part? You can also take this for a short overnight trip! This type of bag can be carried in casual and semi-formal offices. So there you have it! Those are our style tips on the best bags for office going men. Know that your bag can make or break your look for the day. After you choose the style of bag, remember to choose neutral, muted colours as a work bag needs to show your professional side. Leave the loud colours and bells and whistles to casual and holiday bags where the fun side of your life is meant to be shown. What would you like us to tell you next time? Tell us in the comment section below. Also, don’t forget to tell us what’s your favourite bag type! Follow our social media profiles for more! Everyone, from the common man to the fashionistas, looks forward to the trendsetting Red Carpet fashion at the Oscars. As always, we saw a varied range of men’s outfits from different styles and cuts of suits to a variety of textures combined with embroidery. To mark the celebration of one of the most prestigious award ceremonies, let’s take a look at the fashion evolution that took place over a span of five years, that is from 2013 to 2018 at The Academy Awards. Tuxedos, the ultimate red carpet classic, shone excessively on the 2013 Oscars red carpet. Actors Eddie Redmayne, Chris Evans and Chris Pine sported their rendition of classy black and white Tuxedo and finished the look with a stunning pair of shoes and perfect ties and bow ties. This year we saw a fashion curve taking place as men took to wearing solid-coloured suits on the red carpet. We loved Ansel Elgort’s bold royal blue suit and a neat black bow tie, Michael Strahan’s maroon tux underlined with black trim and singer turned actor Jared Leto adding a twist to his tuxedo by wearing a white blazer, black trousers and a red velvet bow tie. Another year, another tuxedo, but 2015 was about experimenting with the classics. One of our favourites was Actor Adrien Brody wearing a white jacket with black lapels while David Oyelowo shone in his brick red attire and the host of the night, Neil Patrick Harris in his neat grey ensemble. Shades of blue, grey and monotones graced the red carpet in 2016. Our favourite picks from the red carpet were Ryan Seacrest, popular radio personality, TV host, and producer, who looked dapper from head to toe in a well-fitted cool grey suit. Also, The Hulk protagonist Mark Ruffalo in his midnight blue blazer and Kevin Hart in his all-black ensemble with embellished outlines. The year 2017 didn’t really experience bold fashion statements, yet actor Dev Patel went classic with a white jacket and a black bow tie. Ryan Gosling hit the jackpot in a classic black tuxedo with a white ruffled shirt, while, Pharrell Williams was seen with his own version of a morning coat on the red carpet. Velvets, leathers, bold colours and exquisite embroidery were a few elements that were vividly seen on the red carpet. The top pick for the day had to be Black Panther protagonist Chadwick Boseman, looking stunning as he arrived at the red carpet in an intricately embroidered long black jacket paired with leather zippered boots. Other favourites of the day were Armie Hammer who was dressed in a red velvet-clad tuxedo and Timothée Chalamet who effortlessly pulled off an all white-on-white ensemble. 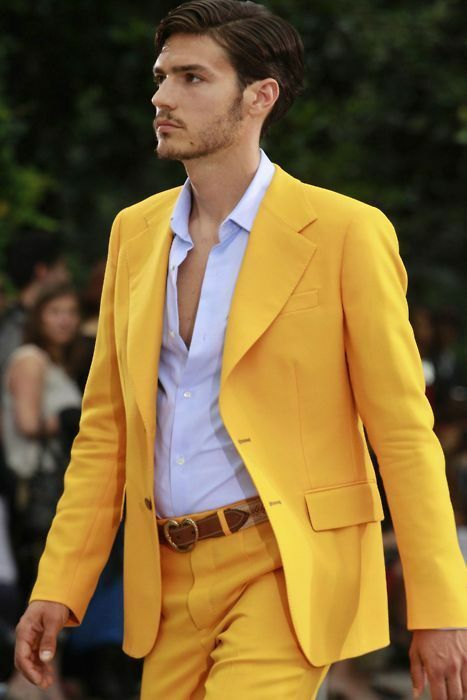 It is clearly evident that male fashion has been embracing colour and individuality. There so much more for the modern man to look up to that just the classics. Which of these do you think you are looking to recreate in your own unique style?